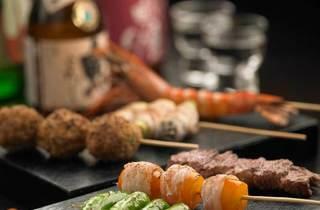 Helmed by executive chef Ueda Toshihiro, who hails from Osaka and has 30 years’ culinary experience, Shin Kushiya takes pride in its speciality Kushiyaki – fresh ingredients are grilled over bincho charcoal from Japan that burns at a high temperature to provide a crisp smokiness. 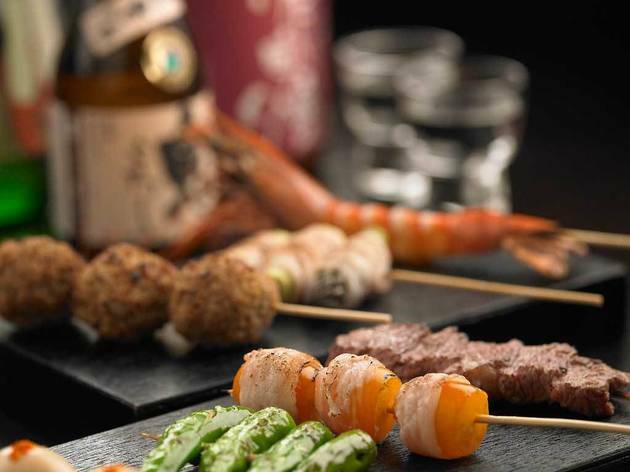 The chef’s skill brings out the natural flavours and textures of meat, seafood and vegetables that have been carefully selected, and then paired with condiments like freshly ground sea salt, cracked black pepper and homemade tare sauce. Located in VivoCity, Suntec City Galleria and Far East Square, Shin Kushiya also specialises in ultra-fresh sashimi, which is flown in daily from the world-famous Tsukiji fish market in Tokyo.